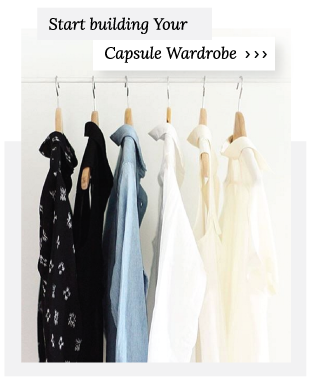 Over the past year, the term “capsule wardrobe” has become increasingly popular on blogs and Instagram. As we discussed in this post, the capsule wardrobe isn’t a new trend, but it has gained momentum recently. Women are interested more than ever in paring down their wardrobes and eliminating closet stress. The process of creating a capsule wardrobe allows you to evaluate what to get rid of, what to keep, and what items you might need to add to your closet. But before you begin this process, it is important to understand the philosophy behind it and how to apply it to your life. 1) Save Energy: a curated closet reduces the anxiety and stress of getting dressed. The emotional fatigue created by wondering what to wear is eliminated. You will have more energy to focus on your family, friends, profession, and passions. 2) Save Time: A curated wardrobe allows you to get ready faster, pack for trips more quickly, do less laundry, and no longer waste time shopping for clothes you don’t wear. 3) Save Money: A closet filled with versatile pieces can be mixed and matched easily to create multiple outfits for multiple occasions. You will shop with intention and choose items that compliment your capsule wardrobe. No more wasting money on items that only get worn once. The capsule wardrobe is appealing now more than ever before. Women’s lives are becoming increasingly busy and filled with multiple responsibilities: family, friends, community, health, professional goals, personal goals, the list goes on. With such full lives, no one wants to waste time in front of the closet. But women are also unwilling to sacrifice style. We like to think of the capsule wardrobe as a toolbox, filled with items that can be mixed and matched to create multiple stylish outfits. The key to creating this toolbox is to have a set of tools that work well together and serve a purpose for your unique lifestyle. What you’re trying to do is to make the most of your budget to create a working wardrobe with high quality clothes that will be sufficient for your lifestyle. Every week, we have approximately 112 hours. Most people spend 40-60 hours at their job. And yes, we consider being a mom a full-time job. We spend another 25-30 hours outside the office, after work. This time is spent on a multitude of activities: picking up kids, cooking dinner, working out, networking, seeing friends, etc. The last 25-30 hours is spent (hopefully) doing some fun things over the weekend. *Please note: We’ve generously allotted 8 hours each night for sleep. If you work at a creative marketing agency where the environment is more casual then there will be a lot of crossover between your work and after-work clothing. You might even combine two categories totaling 75%. If you are a full-time mom, there may be no separation between what you wear during the week and what you wear on the weekend. You might consider 25% of you wardrobe as devoted to date-night or dress-up clothes. Whatever your 50/25/25 breakdown is, this should be reflected in your wardrobe. Take a brief inventory of your closet. If you work in a professional environment but own more casual clothes than work clothes, don’t buy another pair of jeans. Instead, start looking for a new blazer or a pencil dress. It may not be what you want, but it will be an item that will serve you best. In the end, your capsule wardrobe should be filled with tools to help you get through your days with more ease. 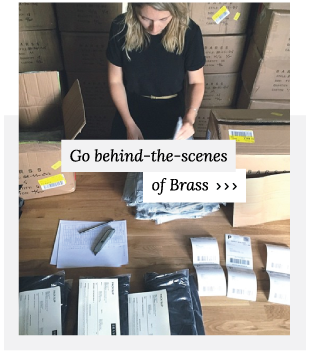 Up next, our 4 step process for creating your own capsule wardrobe. I love the idea of splitting your wardrobe the way you split your time. It seems so logical, yet I certainly have never thought of it that way! I am doing a minor reworking of my winter capsule (after realizing that at 35 items) I still wasn’t wearing everything and I will use this plan.